How do I assign a homework task for individual students? 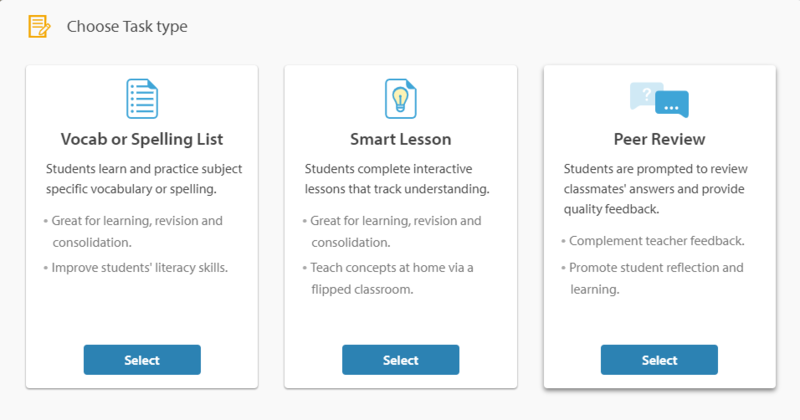 Assigning tasks to individual students makes it easy to differentiate your classroom, or just to prevent a student who is out of the classroom from being assigned an in-class task. The following guide is also relevant to Assessments. 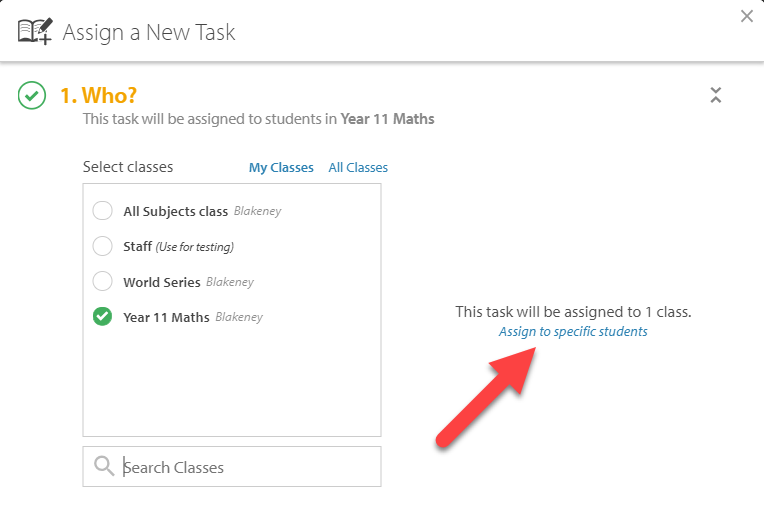 Go to the Tasks & Homework section of your Control Panel and click the Assign Task button. You will then be prompted to choose whether you would like to assign a Vocab or spelling list, a Smart Lesson or a Peer Review Task. You will need to assign the task to six or more students to enable Peer Review. For more information on assigning Peer Review Tasks, read through our article: How do I assign Peer Review lessons to students? In the Who? section, select which class you would like to assign the homework task to. 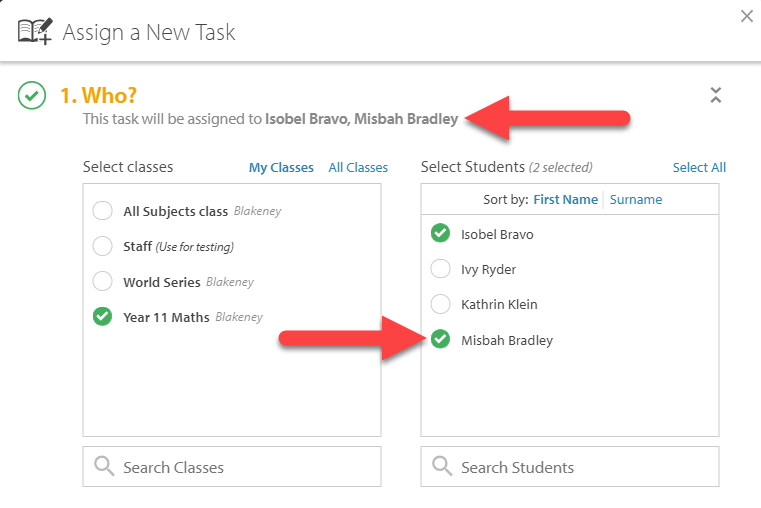 After selecting your class, click Assign to specific students. If your chosen class isn't visible, try using the Search Classes search bar or toggle between My Classes and All Classes. The All Classes option will display all the classes we have registered at your school, as opposed to just the classes you are listed as teaching. Tick the students you want to assign the task to. To assign the task to a small number of students, it can be faster to click Unselect all then tick the specific users you want to complete the work. If your chosen students aren't visible, try using the Search Students search bar below the list. Fill out the following sections as you normally would assigning a task and click the Assign Task button when complete.